While Marvel usually gets most of the press when it comes to the comic book movie scene, DC is about to hit the big time. Batman v Superman: Dawn of Justice is less than a month away and all eyes are now on the Man of Steel and the Caped Crusader to see if their epic throwdown will be able to launch a larger DC universe. While we would fully expect the man who plays Superman to say good things about the upcoming movie, we’re still glad to hear Henry Cavill’s endorsement. Not only has he seen the final version of Dawn of Justice, he’s actually seen it twice. E! Online caught up with the man behind the red cape during the red carpet at this year’s Academy Awards, where Henry Cavill was a presenter. He informed them of the fact that he’s seen Batman v Superman: Dawn of Justice more than once. His verdict on the feature was brief, but it likely included every word that fans would want to hear. Epic, thrilling and visually spectacular. 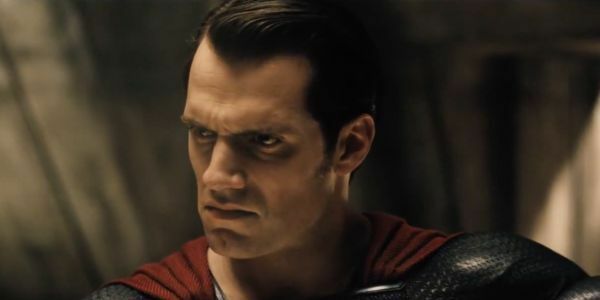 While nobody would expect Henry Cavill to give Batman v Superman: Dawn of Justice a bad review, he could have used less superlative language, or completely brushed off the question, if he didn’t want to say anything nice. Hopefully, we can take Superman at his word that Dawn of Justice will be all of these things. Superman doesn't lie, right? The trailers have certainly shown some visually spectacular stuff. Epic and thrilling, however, are most nuanced ideas that we’ll really need to see the entire movie in order to know for sure. For those of us hoping that Batman v Superman: Dawn of Justice is good, this is wonderful to hear. The most recent word that we’ve heard coming out of anonymous sources has not been nearly this glowing, so we're happy to see the needle swing. As recently as a few weeks ago, we’d heard rumors that the studio was not happy with the reaction that Dawn of Justice was getting from early audiences, with the reaction being so down that it might impact all the plans they had for future DC comics movies. While those rumors aren’t necessarily reliable, we can’t say they haven’t had an impact on our hopes for Dawn of Justice. At this point, we’ll take every good word we can get. While this might be the word on the final version of the theatrical release, we know there will also be another version of the film when it hits home video. It’s been reported the DVD version of Batman v. Superman: Dawn of Justice will be rated-R. We assume that cut is epic, thrilling, visually spectacular, and violent.